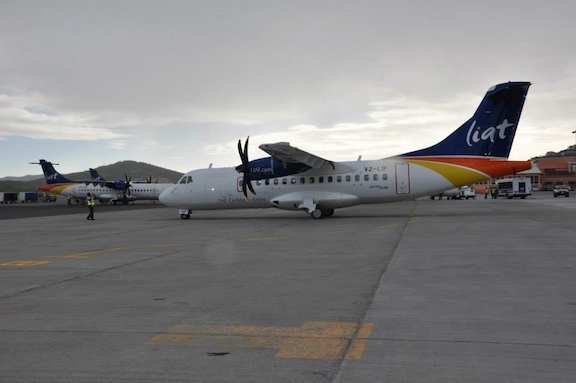 ST JOHN’S, Antigua (CMC) – Regional carrier LIAT, has apologised to customers for flight delays and cancellations in recent days.“I would like to extend my personal apology for the inconvenience many of you have been experiencing as a result of flight delays and or cancellations over the past few days,” said the airline’s CEO, David Evans. He said while LIAT has been addressing several operational and crewing issues the management has not been notified of any sickout or industrial action by any Union. Evans said the airline is seeking to resolve “all matters and restore stability to our flight schedule”. Earlier this week several passengers returning home after the Christmas holidays experienced flight delays. In response, LIAT’s head of Corporate Communications Desmond Brown issued a statement on Monday in which he also said the company had not been notified of any sick-out or industrial action by cabin crew members. “However we have observed that a higher number of our cabin crew have reported sick but our Operations Control Centre is making adjustments to manage this and any other operational issues arising as is their function and role,” he then said. Brown added that LIAT had been in communication with the cabin crews’ union and was “naturally concerned” for the health and welfare of its workers.